Drawing on his extensive experience and expertise in complex zoning and permitting issues, Nutter partner Bob Fishman recently updated Chapter 6 to the leading MCLE Zoning Manual. The update reflects case developments in 2013, 2014, and early 2015 affecting nonconforming uses and structures. The MCLE Zoning Manual is an essential research resource for real estate lawyers in Massachusetts. 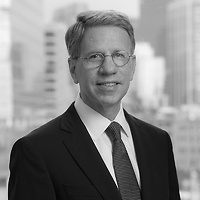 A partner in Nutter’s Real Estate and Finance Department and Chair of the firm’s Land Use, Permitting and Development practice group, Fishman is a highly sought after counselor in complex issues related to zoning, permitting, development and public/private partnerships. Fishman represents developers, lenders, corporate, institutional, municipal, and nonprofit clients involved in the development and financing of mixed use projects, downtown office buildings, suburban industrial and office parks, shopping centers, hotels, multifamily housing, senior assisted living housing and community facilities. In addition to being a regular contributor to the MCLE Zoning Manual and a speaker at MCLE’s annual zoning program, Fishman speaks and writes on zoning and smart growth issues, permitting of complex development projects, and environmental issues in business transactions. Fishman teaches advanced real estate transactions as an adjunct professor at Suffolk Law School and also has taught at Harvard Law School and Boston College Law School. Nutter McClennen & Fish LLP is a Boston-based law firm that provides high level legal counsel including real estate services to clients representing owners, operators, lenders, developers, managers, brokers, institutional investors, governmental authorities and quasi-governmental organizations, hospitals and other health care providers, educational institutions, and other not-for-profit entities. The firm, co-founded by Louis D. Brandeis, who later became a justice of the U.S. Supreme Court, has been in continuous practice for 135 years.